Shami Apr 18 2016 5:55 am I have watched lot of Korean TV series. But haven't searched for the Script Writer in any. 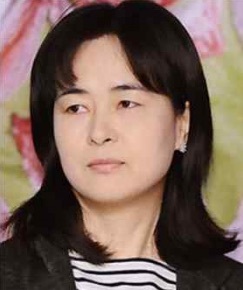 But when I watched Jang Ok Jung, I was extremely curious to know about the writer. it was amazingly written by you. Because the story was well portrayed through the script. We would like to watch the film of this TV series. Cho Sun Moon Nov 04 2014 4:41 pm Wonderful script; great writing. Interesting twist; thought Jang Ok Jung would die earlier; the delayed result was very tragic, but ending was true to originial history. The producers should also be commended. The costumes, styling and the characters were believeable and the story line and scenes rich with history. Remarkable drama series; made me appreciate Korean culture and tradition. Ajeila Jun 19 2013 10:13 am Please make it a happy ending for Lee Soon and Jang Ok Jung on this DramaSeries. I know in real Novel and History they don't end up happy because Jang Ok Jung had to die. Please! I'm begging you!